A rampant Real Betis were pegged back by AC Milan who scraped a 1-1 draw at the Estadio Benito Villamarin to tighten Europa League Group F.
Quique Setien’s men took an early lead through Giovani Lo Celso, and asserted their dominance throughout the first half, ending the the opening 45 minutes with a whopping 67 percent possession. 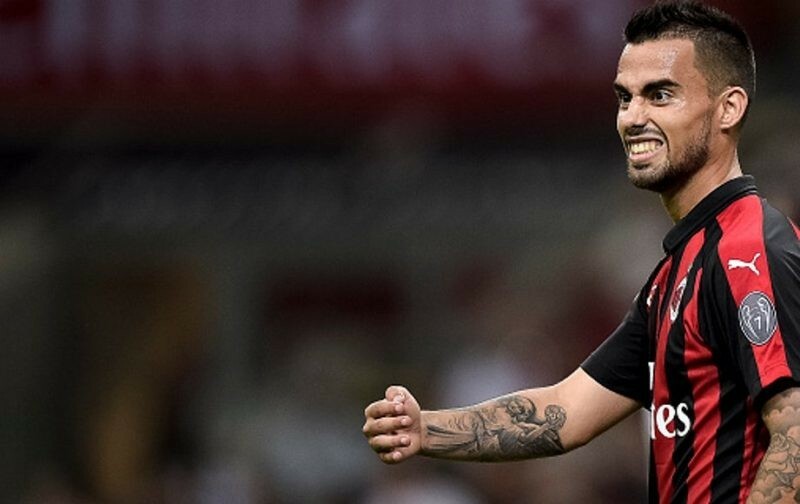 However, a Suso freekick midway through the second period earned the Rossoneri a point. Just one point separates Betis from Milan and Olympiacos in Group F, with the Greek side next up for Los Verdiblancos, while the Rossoneri take on Luxembourg minnows Dudelange. Given Betis had beaten Milan at the Stadio San Siro earlier in the competition, Milan had it all to do if they are to qualify and in Seville they started very much on the back foot, failing to get a hold of their opponents’ strong pressing game. After just 12 minutes Betis took the lead, a lovely patient move saw Joaquin flick the ball into the path of Junior Firpo on the left of the penalty area, he then crossed to Giovani Lo Celso for a nice side-footed volley into the bottom corner. Chances were coming like busses for Betis, as Joaquin looked like the player of 10 years ago, as he pulled the strings in midfield. He played a lovely give-and-go with Lo Celso and Ricardo Rodriguez’s heel kept the shot out, and Diego Laxalt just got in front of Cristian Tello who was about to pull the trigger. Joaquin was at it again, this time linking up with Firpo, who played in to Toni Sanabria, but his finish took a deflection and went out. In stark contrast to their LaLiga Santander form, Betis played with a swagger and explosive power that Milan were unable to deal with, particularly in the opening 45 minutes. After the break, Milan looked a bit more rejuvenated and Suso forced an acrobatic save from Pau Lopez. That proved to be a warning for Betis as moments later the Spaniard did find the back of the net. He curled one to the back post and it looked as if Tiemoue Bakayoko was going to nod home, but he completely missed the ball and it sailed into the back of the net. Another chance, started by Suso, who fed Franck Kessie, and his ball to Fabio Borini allowed the forward a strike on goal which was well held by Lopez. Meanwhile at the other end Milan goalkeeper Pepe Reina made a huge blunder, and misjudged a simple pass out to Ignazio Abate, which Andres Guardado intercepted, but his attempted lob was just off target. Borini blasted over from close range, then Firpo was denied by the body of Reina, and the Spanish goalkeeper was called into action again, this time saving from Tello. A coming together between Kessie and Mateo Musacchio resulted in the later having to be taken off injured and thus six minutes was added on. Despite a frantic end to the game, neither side were able to find a winner.